I am all for made from scratch pancakes – when I actually have the time! But some days calls for out of the box treats to satisfy my sweet tooth. The other night my son was begging for donuts. Of course all the donuts stores are closed, so we whipped up these pancake donuts. YUM! All you need is a box of pancake mix and some melted milk chocolate. Mix up the pancake as directed, pour in a donut pan and cook for about 10 minutes. As soon as they are out of the oven dip them in the chocolate, add a few sprinkles and enjoy. 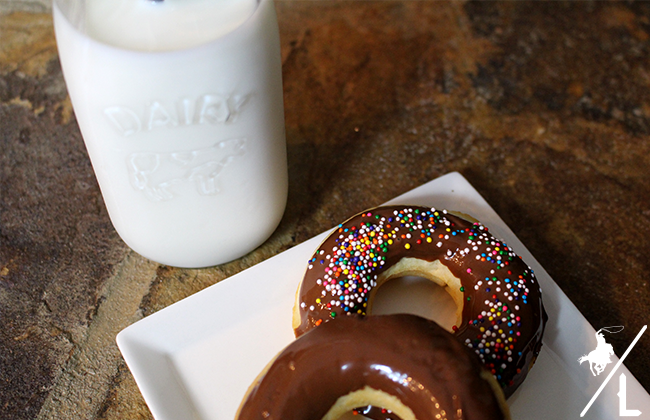 Trust me, these are so delicious and beat any donut store pastry!